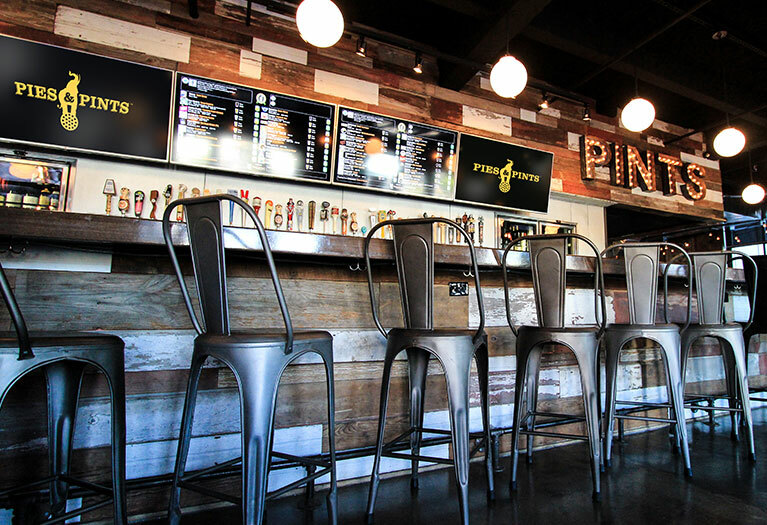 Gallery - Pies & Pints | Great pizza and awesome craft beer - Get Some! Stop in from 3-6pm and we'll hook you up with $1 off draft beers & house wines, and $2 off all starters. No, no... thank YOU! #getsome *Excludes all Indiana locations. Drop in from 3-6pm for $1 off draft beer & house wines, and $2 off all starters – the Happy Hour of champions. #getsome *Excludes Indiana locations.